It is time to get your hands dirty!!!! 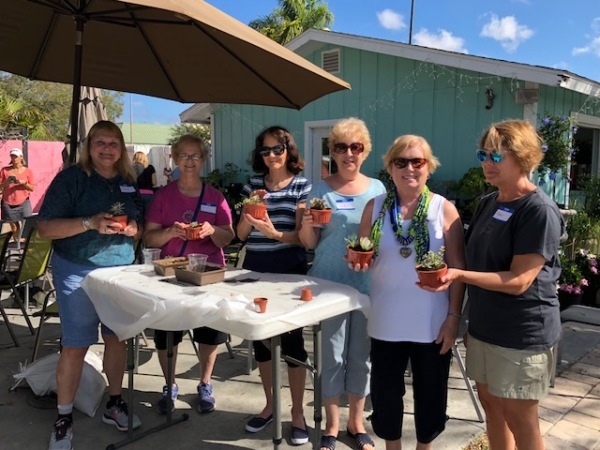 In this hands-on signature class, Tracy Post will teach you how to create your own succulent garden featuring Florida grown plants. 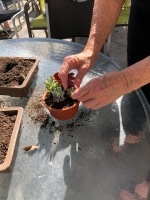 For beginners and experienced alike, this course will cover helpful tips on plant selection, proper building techniques, picking the right container, and favorite tricks for planting, maintenance, and displaying your succulents within any home or office environment. You’ll leave with your creation, care instructions, and all the knowledge you’ll need to recreate this project. 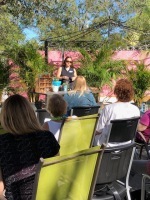 This class is not to be missed! 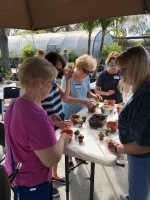 All materials (plants, terracota container, succulent ingredients, and added toppings) will be provided for this class including access to our beautiful Succulent Bar. Please note, if you have a special memento or small container that you’d like to use for this project, feel free to bring it with you! You will be making a 7-inch terracota planter, able to plant 2-3 succulents within. 1hours of instruction and hands – on studio time, in a small group setting. Single terracota dish, succulent planting ingredients, and 2-3 succulents of your choosing for your dish design. Use of the Succulent Bar toppings for added terrarium décor, including shells, colored pebbles, sea glass, and more.